When is the best time to prune spireas? 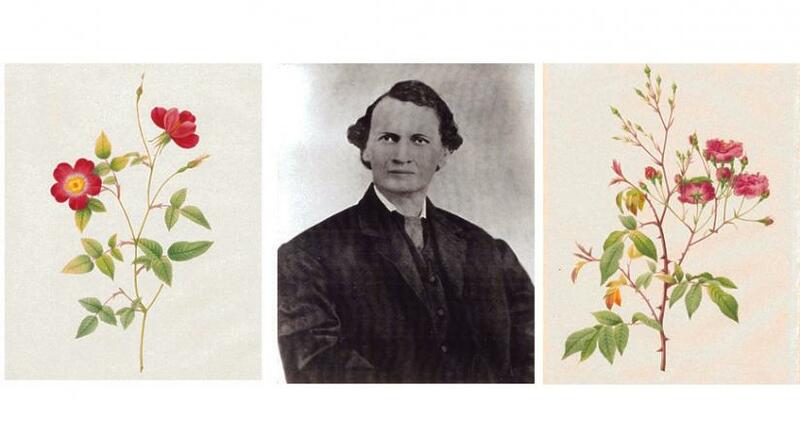 Spireas are deciduous, multistemmed shrubs that have been cultivated in the South since the mid-1800s. When you prune a spirea depends on whether the flowers occur on last year’s growth or on current season’s shoots. Spring-flowering spireas bloom on last year’s wood and should be pruned when their flowers fade. This will encourage new growth that will mature over the summer and fall and bear next year’s flowers. 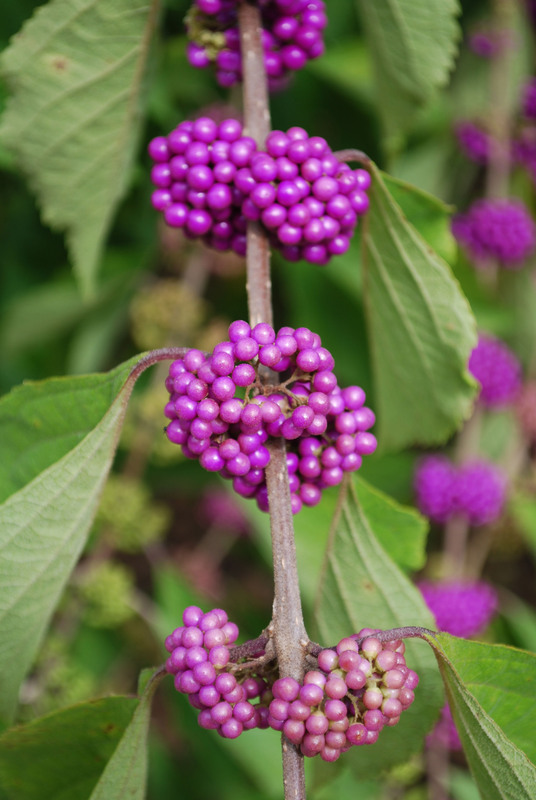 Spring-blooming spireas include baby’s breath spirea, bridalwreath spirea, double Reeves spirea, and Vanhoutte spirea. To prune them, first remove any dead or crossing branches. Then, thin out one-fifth to one-third of the oldest branches to the ground. 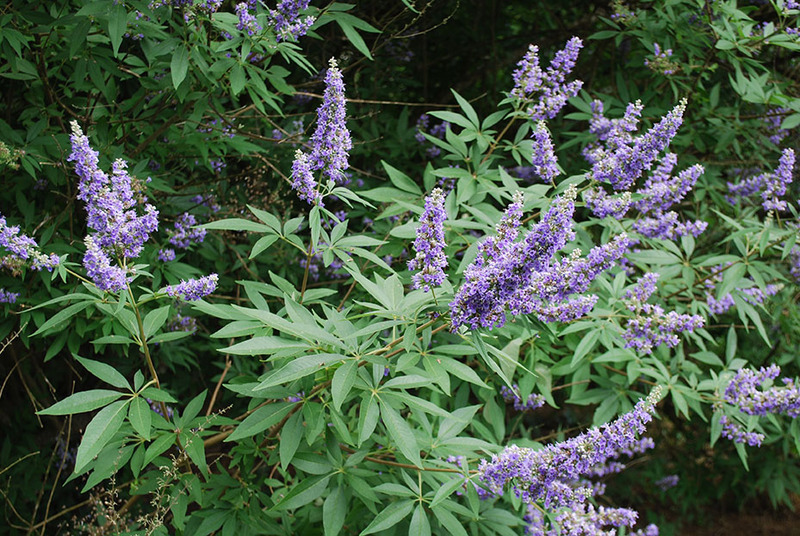 Shorten long, lanky branches by cutting back to a side branch or bud oriented away from the center of the shrub. Finally, tip back a few of the branches to encourage branching from below the cut to create a full-looking display. Spireas that bloom on current season’s growth should be pruned in late winter before budbreak. They include Billiard spirea, bumald spirea, and Japanese spirea and its cultivars and hybrids. Thin out the oldest shoots at ground level to reduce overcrowding. Cut them back by two-thirds of their height or close to the ground to encourage the production of many young shoots that will bloom later in the season. To maintain an informal structural framework, stagger your pruning cuts. During the growing season, removing the spent flower heads will promote continuous flowering, especially in Shibori Japanese spirea and bumald spirea. Spanish moss hanging from a branch on the campus of Spartanburg Technical College in Spartanburg, SC (USDA cold hardiness zone 8A). Crepe mrytle in Gainsesville, FL festooned with Spanish moss. Credit: T. Polomski. In my travels throughout the South I’ve been fascinated by the Spanish moss that drapes the branches of many trees, notably live oaks and crepe myrtles. Spanish moss (Tillandsia usneoides) belongs to a large genus of about 550, mostly epiphytic, species in the bromeliad family (Bromeliaceae). Spanish moss (USDA zones 8-11) is native from the southern U.S. (southeast Virginia to Florida and west to Texas and Mexico). This “air plant” lacks roots, relying almost entirely on atmospheric moisture and rainfall for sustenance. The limbs of its host tree (or telephone wire or clothesline) serve only to provide support. 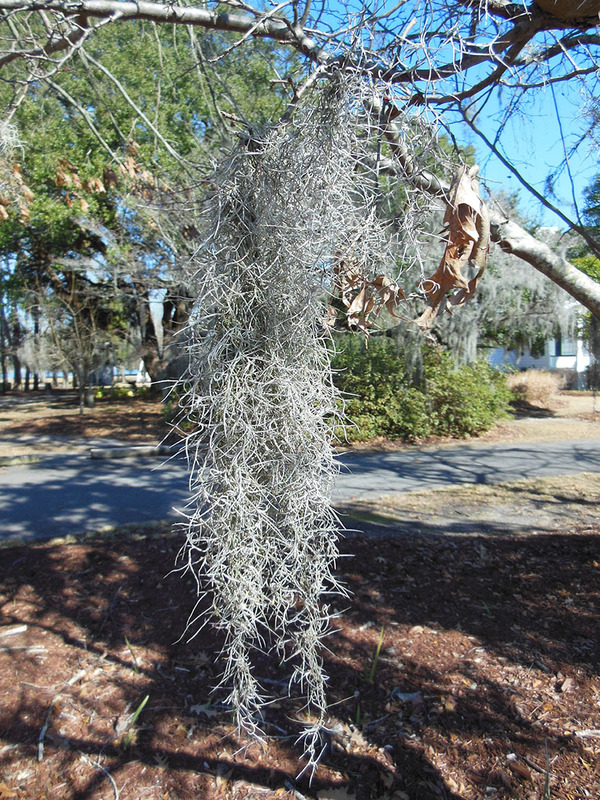 The long, slender grayish-green stems and leaves of Spanish moss can reach 20 feet. They are covered are covered with dense trichomes that act like reservoirs to capture moisture and nutrients. Three-petaled pale blue or chartreuse flowers are borne singly in the leaf axils in late spring and early summer and are pollinated by moths drawn to the musky fragrance. The small fruit capsules that result, split when ripe to release seeds that are outfitted with silky hairs. Dispersal is mainly by wind. Reproduction also occurs by vegetative offsets that are broken off and transported by wind or animals. Historically, Spanish moss has been harvested and baled for use as livestock feed, garden mulch, mortar reinforcement, packing material, and mattress stuffing. It was also used as stuffing in the seats of Henry Ford’s Model-T cars. 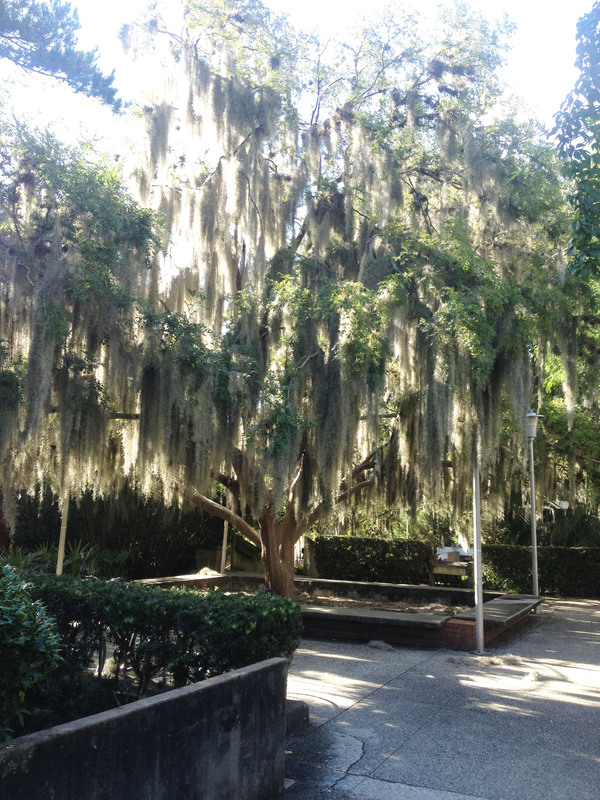 Visitors seeing live oak trees heavily draped with Spanish moss frequently ask if the plants are harming the tree. While Spanish moss is not a parasite in the way that mistletoe is, it can affect its host in a number of ways. First, there is the shear weight of the moss which can sometimes cause weak limbs to break. A subtler effect has been termed nutrient piracy. By intercepting wind and rain-borne dust before it can reach the ground, Spanish moss may capture nutrients that might otherwise go to feed the host plant. Such a cost is a minor one, however, and not a reason to worry about the Spanish moss that gives the Deep South so much of it’s character. Panelist on Making It Grow! 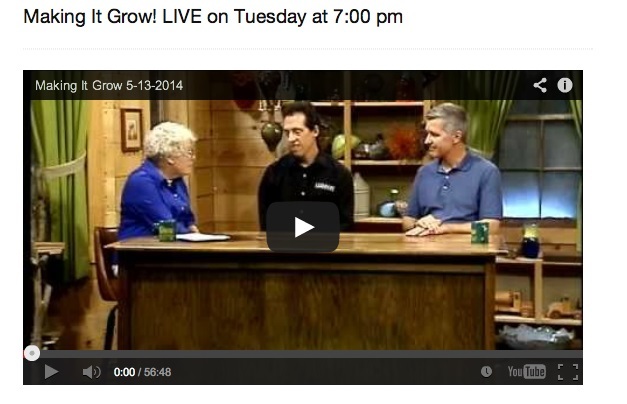 On May 13 I had the good fortune of appearing on the Emmy Award-winning television program Making It Grow!, a live, interactive call-in program produced by ETV and Clemson University. Clemson Extension Agent and Host of Making it Grow! Amanda McNulty is on the left, fellow Clemson Extension agent, Mark Arena is in the center, and I’m on the right. On this program Dr. John Nelson from The University of South Carolina Herbarium Skyped in with his weekly “Mystery Plant”. On the side counter we had Lavanya Sabin with Lavanya’s House. She spoke about her delicious curry sauces with Jackie Moore from theSouth Carolina Department of Agriculture. (Ms. Sabin had several prepared dishes with her curry sauce and unfortunately located them about 8 ft. from my left elbow. The appearance and aroma of each of the dishes was intoxicating.) The featured segment was a trip with Dr. John Nelson and his botany class to the Broad River Canal in Columbia, SC.